When it comes to grocery store refrigeration, food-service cases or other commerical food displays, most business owners agree that energy saving products are their priority over the next few years. Many store owners recognize the ECONOFROST brand of night covers as a premium quality, sustainable energy saving product that will help them conserve energy, keep foods fresh and save money. 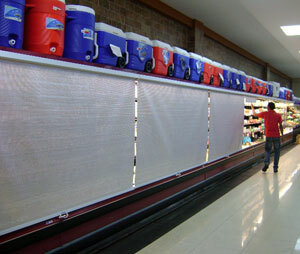 While energy savings may be the driving force behind the initial installation, what many independent grocery store owners come to realize is, that one of the biggest advantages to installing night curtains, is product shelf life extension and the improved appearance and freshness of products. Everything else like optimizing the performance and efficiency of their refrigerated case is just an extra bonus. ECONOFROST night covers are a retrofit product designed specifically for use in and around the food zone. There quality construction and food safe enegineering make them ideal for grocery stores and supermarket applications. In addition to being used on a variety of mutlideck cases, ECONOFROST electric motor driven night covers are also ideal for use in meat prep rooms and service areas. Using refrigeration blinds on commercial merchandisers, grab-n-go cases and coolers is a great way to keep products cold and fresh and save energy. Convenience and gas stores can utilize night curtains to keep their subs, sandwiches and pastries fresh, their drinks cold all the while saving energy in their operation. 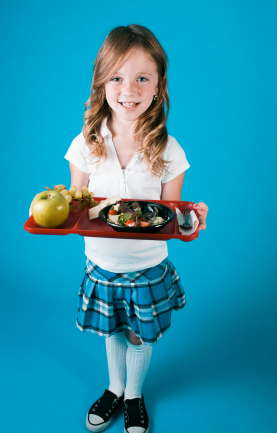 Food courts, hospitals and school cafeterias can also benefit from installing night covers on their foodservice cases. When staff and students are looking for healthy food options, reward them with fresh and appetizing selections while being socially-conscious about the environment. Covering up food service salad stations prevents foods from drying out and spoiling over night. Ideal for olive and pickle bars too. 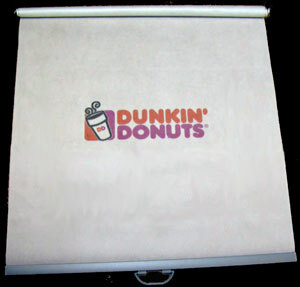 For fast food locations like Tim Hortons, Dunkin Donuts, Bagel Oasis and many others, retrofit night covers can hide your empty shelves while marketing your companys’ logo and brand to incoming customers. Say “Yes” to Energy Savings, Fresh Product and Cold Bevergages.